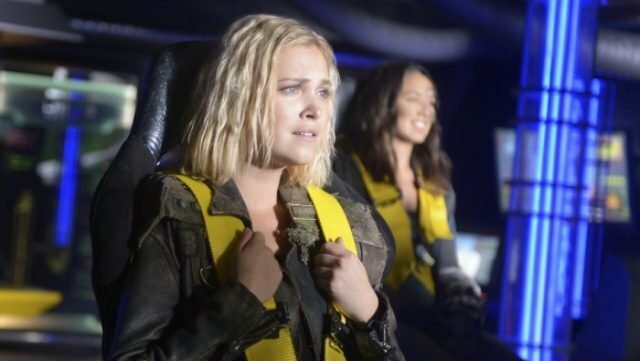 The CW has released a brand new trailer for the upcoming sixth season premiere of their post-apocalyptic sci-fi drama series The 100, highlighting the newest threats and enemies that the main characters must face as they try to survive on the new planet. Check out the video below! The human race returns, after a 97-year exile in space, to a wildly transformed Earth…only to discover that the human race had never truly left. Clarke found herself forced to lead a band of disposable juvenile delinquents as they faced death at every turn: from a world transformed by radiation, from the fierce Grounders who somehow managed to survive in it, and, perhaps worst of all, from themselves. Unfortunately, their newfound sense of normalcy will be short-lived, and their lives will be changed forever, as threats both old and new test their loyalties, push them past their limits, and make them question what it truly means to be human. First, they fought to survive. Then, they fought for their friends. Now, they will fight for the human race. When we last saw our heroes in the Season 5 finale, they were on the brink of a new world after traveling for more than 100 years — while in cryo-sleep — to a new planet across the galaxy. Season 6 will explore the new planet and culture, as well as new characters such as the planet’s leader named Russell (J.R. Bourne), who presides over a peaceful society. Based on the book series by Kass Morgan, The 100 is from Bonanza Productions Inc. in association with Alloy Entertainment, Warner Bros. Television and CBS Television Studios with executive producers Jason Rothenberg and Leslie Morgenstein (The Vampire Diaries). Season 6 stars Eliza Taylor as Clarke, Paige Turco as Dr. Abby Griffin, Bob Morley as Bellamy, Marie Avgeropoulos as Octavia, Lindsey Morgan as Raven, Richard Harmon as Murphy, with Henry Ian Cusick as Marcus Kane. J.R. Bourne (Teen Wolf) plays Russell, a new planet leader introduced in Season 6. The 100 premieres on Tuesday, April 30, on The CW.